Rev 1:1-2 “The Revelation of Yeshua Ha Mashiaj, which Elohim gave unto him, to shew unto his servants things which must shortly come to pass; and he sent and signified it by his angel unto his servant Yohanan: Who bare record of the word of Elohim, and of the testimony of Yeshua Ha Mashiaj, and of all things that he saw.”. Rev 1:4-8 “ Yohanan to the seven churches which are in Asia: Grace be unto you, and peace, from him which is, and which was, and which is to come; and from the seven Spirits which are before his throne; And from Yeshua Ha Mashiaj who is the faithful witness, and the first begotten of the dead, and the prince of the kings of the earth. Unto him that loved us, and washed us from our sins in his own blood, And hath made us kings and priests unto God and his Father; to him be glory and dominion for ever and ever. Amen. Behold, he cometh with clouds; and every eye shall see him, and they also which pierced him: and all kindreds of the earth shall wail because of him. Even so, Amen. I am Alpha and Omega (YHWH), the beginning and the ending, saith YHWH, which is, and which was, and which is to come, the Almighty”. Rev 1:17 -18 “And when I saw him, I fell at his feet as dead. And he laid his right hand upon me, saying unto me, Fear not; I am the first and the last: I am he that liveth, and was dead; and, behold, I am alive for evermore, Amen; and have the keys of hell and of death”. 4. He washed us from our sins in his own blood. 5. He hath made us kings and priests unto Elohim and his Father. 6. YHWH Sebaot (Elohim de los Ejércitos) is his Father and his Elohim. 8. He has the keys of hell and of death. 10. He cometh with clouds; and every eye shall see him. 11. Elohim send us this revelation by, His Angel :Yeshua. 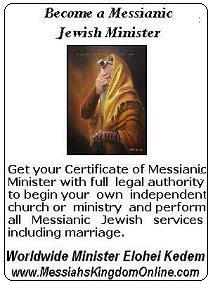 DOES YESHUA DEFINE HIMSELF EVER AS ELOHIM? Yeshua NEVER defined himself as the Creator of the Universe; He always affirmed the great difference between him and YHWH, our Elohim. Refering to YHWH he always said the expresion “mi Father” that appears 48 times in the Nazarene Writtings. Rev 3:12 ” (said Yeshua) Him that overcometh will I make a pillar in the temple of my Elohim, and he shall go no more out: and I will write upon him the name of my Elohim, and the name of the city of my Elohim, new Jerusalem, which cometh down out of heaven from my Elohim: and I will write upon him my new name. “. Note: Four (4) times Yeshua, ethe Messiah of Israel, said “my Elohim “. Yohanan 20:17 “Yeshua lsaith unto her, Touch me not; for I am not yet ascended to my Father: but go to my brethren, and say unto them, I ascend unto my Father, and your Father; and to my Elohim, and your Elohim”. Rev 3:2 ‘Be watchful, and strengthen the things which remain, that are ready to die: for I have not found thy works perfect before Elohim”. IS YESHUA THE ANGEL OF YHWH? Bereshit (Gen) 21:17 “And YHWH heard the voice of the lad; and the angel of Elohim called to Hagar out of heaven, and said unto her, What aileth thee, Hagar? fear not; for Elohim hath heard the voice of the lad where he is. Shmuel (Jdg) 6:20; 13:9 “And the angel of Elohim said unto him, Take the flesh and the unleavened cakes, and lay them upon this rock, and pour out the broth. And he did so”. 13:9 “ And Elohim hearkened to the voice of Manoah; and the angel of Elohim came again unto the woman as she sat in the field: but Manoah her husband was not with her. ”. Shemot (Exo) 23:20-23 ” Behold, I send an Angel before thee, to keep thee in the way, and to bring thee into the place which I have prepared. Beware of him, and obey his voice, provoke him not; for he will not pardon your transgressions: for my name is in him. But if thou shalt indeed obey his voice, and do all that I speak; then I will be an enemy unto thine enemies, and an adversary unto thine adversaries. For mine Angel shall go before thee, and bring thee in unto the Amorites, and the Hittites, and the Perizzites, and the Canaanites, the Hivites, and the Jebusites: and I will cut them off”. This means that the Angel of YHWH = the Messiah of Israel. Malaji (Mal) 3:1-3 “ Behold, I will send my messenger (angel/Malahi) , and he shall prepare the way before me: and YHWH, whom ye seek, shall suddenly come to his temple, even the messenger (angel/Malahi) of the covenant, whom ye delight in: behold, he shall come, saith YHWH of hosts. But who may abide the day of his coming? and who shall stand when he appeareth? for he is like a refiner’s fire, and like fullers’ soap: And he shall sit as a refiner and purifier of silver: and he shall purify the sons of Levi, and purge them as gold and silver, that they may offer unto YHWH an offering in righteousness”. That tell us that the Angel of the Covenant = Messiah of Israel. CONCLUSION: In all of these cases Yeshua, the Messiah of Israel, was the Angel of YHWH. WHAT DID PAUL, THE APOSTOL, THOUGHT ABOUT YESHUA? Gal 4:13-14 “Ye know how through infirmity of the flesh I preached the gospel unto you at the first. And my temptation which was in my flesh ye despised not, nor rejected; but received me as an angel of Elohim, even as Yeshua Ha mashiaj”. IF YESHUA IS THE ANGEL OF ELOHIM, IS HE THE MESSIAH TOO? Zejaria (Zec) 3:1-10 “And he shewed me Joshua the high priest standing before the angel of YHWH, and Satan standing at his right hand to resist him. And YHWH said unto Satan, YHWH rebuke thee, O Satan; even YHWH that hath chosen Jerusalem rebuke thee: is not this a brand plucked out of the fire? Now Joshua was clothed with filthy garments, and stood before the angel. And he answered and spake unto those that stood before him, saying, Take away the filthy garments from him. And unto him he said, Behold, I have caused thine iniquity to pass from thee, and I will clothe thee with change of raiment. And I said, Let them set a fair mitre upon his head. So they set a fair mitre upon his head, and clothed him with garments. And the angel of YHWH stood by. And the angel of YHWH protested unto Joshua, saying, Thus saith YHWH of hosts; If thou wilt walk in my ways, and if thou wilt keep my charge, then thou shalt also judge my house, and shalt also keep my courts, and I will give thee places to walk among these that stand by. Hear now, O Joshua the high priest, thou, and thy fellows that sit before thee: for they are men wondered at: for, behold, I will bring forth my servant the BRANCH. For behold the stone that I have laid before Joshua; upon one stone shall be seven eyes: behold, I will engrave the graving thereof, saith YHWH of hosts, and I will remove the iniquity of that land in one day. In that day, saith YHWH of hosts, shall ye call every man his neighbour under the vine and under the fig tree. ”. Yeshua, the Angel of YHWH, the branch (Mashiaj), will take away the sins of the world in a day. DID YESHUA EXIST BEFORE THE CREATION OF THE WORLD?? Yohanan (Joh) 8:58 “Yeshua said unto them, Verily, verily, I say unto you, Before Abraham was, I am.”. Luke 10:18 “And he (Yeshua) said unto them, I beheld Satan as lightning fall from heaven.”. Yeshua the Messiah of Israel is also the Angel of YHWH. I’ve been thinking about this, but in Isaiah 7:14, the Mashiach’s name is Immanuel. The 4 angels in Judaism are called Michael, Gabriel, Uriel and Raphael. This is a long shot, but perhaps Yeshua’s angelic name is Immanuel. It’s just interesting.